Film-maker and producer of Begum Jaan, Vishesh Bhatt with his sister Sakshi Bhatt participated in a special art exhibit hosted by Godrej India Culture Lab. The film Begum Jaan was screened as part of a special event, Museum of Memories: Remembering Partition in association with Godrej India Culture Lab. 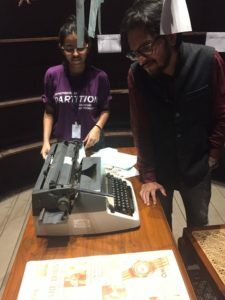 Museum of Memories: Remembering Partition is a collaborative three day pop-up museum that marks 70 years since the Partition of the subcontinent into India, Pakistan and Bangladesh. Produced by Vishesh Films, Begum Jaan was one of the most impressive films of 2017 leaving behind an indelible mark on the audience even after its release. Featuring Vidya Balan in the lead with an ensemble of stars like Gauahar Khan and Pallavi Sharda amongst others, the movie centered on a family of survivors who fought two nations, to save their home. 16 queries in 0.747 seconds.